Everytime we talk about the anti-corruption war of the President Muhammadu Buhari administration, our minds invariably go to looted funds, recovered loot, spurious bank accounts, Diezani Allison-Madueke, Sambo Dasuki, PDP campaign slush funds, etc. And we have remained so fixated on those symptoms that we have tended to overlook the real corruption in our country, which has continued to fester, despite all our sloganeering and grandstanding. Unfortunately, if I say corruption is not just about looted funds now, some mischievous persons would misinterprete it to mean that I said looting of funds is not corruption. After all, that’s how we came about Jonathan saying that ‘stealing is not corruption’! However, anybody who wants to see corruption on all fours only needs to look at our processes and procedures today to know that, for three years, we have been applauding ourselves for threating the itch, while the underlying leprosy festers. In the Customs Service, for instance, corruption has very little to do with Col. Hameed Ali’s refusal to wear the uniform, nor his daring the entire National Assembly to do its worst. Yes, he dealt the corruption monster a death blow with the huge amount he is now remitting to the federation account – as compared to the pittance we got in past, but there is also the not-too-little detail of how he runs the service, as well as those he has retired (and maybe, appointed). That is the real corruption that no one seems to be talking about. But today is not for the Customs story. For today, I would rather look in another direction. As we talk, the Nigerian Immigration Service is recruiting. Nigeria Prison Service is recruiting, Road Safety is employing. Fire Service is hiring. Police is recruiting another batch, after the intial 10,000 employed last year. In fact, the new batch wrote their own version of the JAMB UTME a few weeks ago. I know all this, not necessarily because I’m in the media, but because I have an army of unemployed relatives and acquaintances who are not only applying, but also reaching out to me to put in a word here and there for them. Some of them have spent the last two weeks trying to submit their applications online, without luck. It appears those who opened the portal and called for application also tweaked something to make it impossible for many applications to go through. And by the time the deadline closes this week, we will be told that people refused to apply. The ‘recruiters’ would then use the opportunity to fill the slots with their lackeys and kinsmen. Yes, with the 2019 general election round the corner, and the need to procure more ‘trophies’ to take into the campaigns reaching desperate heights, there seems to be a sudden upswing in recruitment into government agencies. I suspect that, as opposed to claims of creating millions of unverifiable jobs, created in sectors they have no way of monitoring, the government has seen the wisdom in creating provable jobs – even if it means re-bloating the civil service we had originally set out to trim. But the question now is: who and who is getting the jobs? How much of the interests of other stakeholders in the Nigerian project are we taking into consideration? If we have since sacrificed meritocracy for quota system and Federal Character, how honestly are we adhering to this new sharing formula? 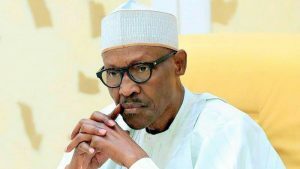 While everyone of us, northerner, southerner and easterner alike, would have benefited from quota system or Federal Character at one point or the other, it becomes criminally corrupt, and doubly tragic, if we now discard the well-established modality for applying this quota system, preferring, instead, to concentrate the benefits of the system on one set of people alone. Unfortunately, this has been our lot in this country for some time now. And nothing seems to have brought this home to me in recent times than the experience I have had with the revered Nigerian Defence Academy (NDA). For three years now, my ward who seems to love the Army more than life itself has been trying to get into the NDA. Despite passing his JAMB and securing university admission, he has refused to take his mind off NDA and the Army. I naively thought he would get into his dream profession if he passed the entrance examination. Incidentally, as the young man was burning the proverbial midnight oil preparing for the examination, everyone kept telling me to reach out to my General friends to assist. I didn’t think it was necessary at that stage. My thinking was that, if he passed the exam, I might then need them to refer him. I was wrong. The exam, for all intent and purposes, was to fulfil all righteousness. Of course, the poor boy’s name did not make the list last year. I assumed he failed. I asked him to go back to his university and try again this year. He did just. And the same drama played out. This year, there was even no way of knowing what he scored. The authorities simply released a list of shortlisted candidates, none of them knowing how he or she performed in the examination. In 2018?! The world has actually gone beyond what the Army is practising. These days, with the advent of computer-based test (CBT) system, candidates are able to get their score almost as soon as they electronically submit their answer scripts. And with the JAMB UTME, where over a million candidates annually write the exams, the results are released a few weeks later – both for those who passed and those who failed. those who take the mock exam actually get their results instantly. Unfortunately, even the police that utilised JAMB for its recent recruitment exercise still found a way to do the ‘arrangee’ thing. The controversy is still raging. Back to the NDA exam! Despite all the good intentions, the NDA exam system lacks transparency. And it is due for a rejig. Yes, we know that quota system, Federal Character and other non-merit-based considerations ultimately come into play, but there is nothing as frustrating as writing an exam and never getting to know what and how you failed. If for nothing else, that could help you prepare better for the next exam, if you plan to sit for the exam again. Now, why do we force the poor children to prepare for an examination that would not count for anything? Every person, military or otherwise, I contacted in connection the NDA admission did not want anything to do with it. Everyone had one painful experience or the other. One General from the South East even regaled me with tales of how even he was schemed out, and his son denied admission. So, if gold could rusts, what then would be expected of ordinary iron like me? And to make a bad situation hopeless, a few hours to the May 19 exam, a news medium published the story of how over 10,000 candidates were jostling for 600 admission slots in the NDA. For sure, the competition was tight, but it would serve our country better if we knew how the final cut was made. What I have since come to suspect is that the slots are shared out even before the candidates sit for the exam. The Army chiefs take some, the Presidency (mind you, I did not say ‘President’), including members of the cabal, kitchen cabinet, the perpherial FEC members and all such other interest blocs take theirs. The members of the National Assembly, who are likely to run their mouths, are given one or two slots, as ‘shut-up allocation.’ A few governors and traditional rulers get slots alloted to them too. It is doubtful if anything is set aside for merit, to accommodate some of those who perform exceptionally well in the exam. That is the impression that this ‘army arrangement’ NDA exam tends to create. It appears like, even before the candidates sit for the exam, we already know those who would, and those who would not, be shortlisted. So, if we already know the answer, why pose the question? Why would I be inconvinienced into going to disturb my traditional ruler for a letter of identification, in spite of my having a national ID card, a voter’s card, BVN, SIM card registration, Lagos resident registration and international passport, any of which could have adequately identified me?